Looking to sell your comics? I'm always taking consignments! Please CONTACT ME for details. Thanks for checking out my auction! I've listed some incredible books this week so please feel free to check them out! Need more time to pay? Time payments are always welcome!! Please e-mail me ahead of time if you'd like to set up a time payment plan. Thanks! Please be sure to check out all of my hi-res scans of the book! 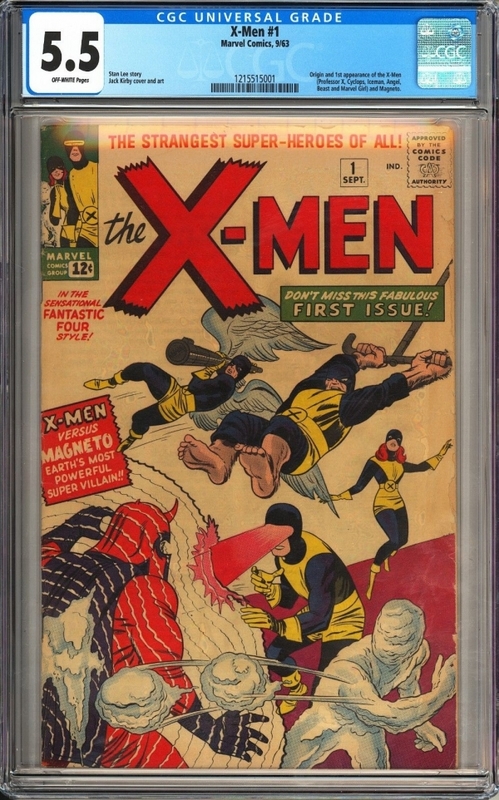 The winning bidder will receive this beautiful mid grade and unrestored X-Men #1 CGC 5.5 featuring the 1st appearance of the X-Men and Magneto.This is a fantastic looking book and looks far nicer than a 5.5. The cover is very clean with really nice and bright colors.CGC has assigned the book OFF-WHITE pages.This book really looks amazing and has excellent eye-appeal. Please be sure to check out all of my high res scans of the book. Any questions, please don't hesitate to ask. Thank you and good luck!